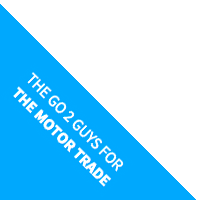 Motor Trade Combined Insurance is specifically designed for larger motor trade businesses operating from premises such as motor dealers, repair garages and MOT centres. We have a specialist team of staff with over 50 years of Insurance experience to deal with all your Motor Trade insurance needs. If you take out a Motor Trade Combined Insurance policy with us, you’ll get protection against damage to your property, stock and tools, as well as any assets you own. We can also make sure you’re covered for Business Interruption, Engineering Inspection and Goods in Transit, giving you that extra peace of mind. Please fill in all the areas below. Please complete the box below. Please note that if you have answered NO to the above question employers liability is required by law if you have employees.